ARPIE: A compact, hackable hardware MIDI arpeggiator! Choose which ARPIE you want! 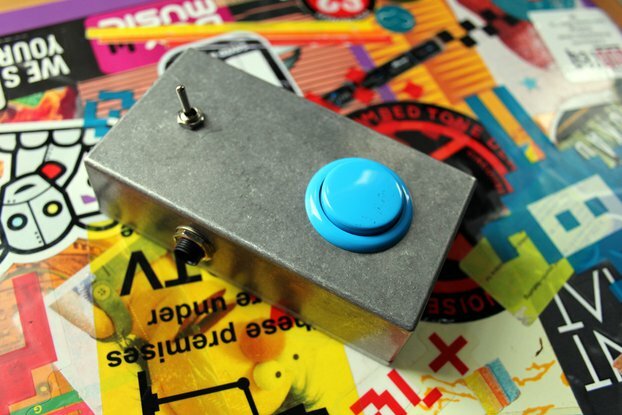 The ARPIE - MIDI Arpeggiator designed by Jason Hotchkiss, fully constructed and tested. Simple to use but huge on features, the ARPIE enables you to send arpeggiated chords via MIDI to any Synthesizer or Sound Module, opening up a whole world of musical possibilities and breathing new life into old gear. As well as an internal clock, the ARPIE receives MIDI clock through a central input to SYNC your hardware in a range of note timings. It can even be used without a keyboard! 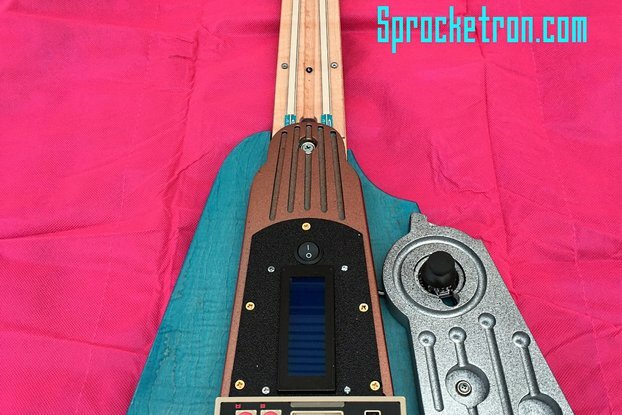 Manual chord entry mode: Experiment with chords and access ARPIE's full potential without any keyboard attached! NEW Choose from FOUR ARPIE models: Classic, Dark Side, Night Rider and White Knight! All documentation and manual will be sent to you once the ARPIE has been posted. Alternatively, they are available online here and [here (https://github.com/hotchk155/arpie/blob/master/docs/Arpie%20Quick%20Reference.pdf?raw=true). Shipping is quoted by Royal Mail, but I am happy to go with any shipping company you might prefer. If you have any questions please use Tindie's ask a question feature. PLEASE NOTE: ARPIE is a MIDI Arpeggiator and requires separate synthesizer software or hardware to be connected to it to make sound. Great tiny machine, real arp powerhouse, poly mode is insane. The 16steps for velocity or gate for example is ofc limited but practically turns out great and makes it more authentic, its small but good to operate. Super invention, super construction. Use it live with my technojazz collective plastik.soldiers. Thanks so much! I bought one of these so that I could make Italo-Disco without having to enter the notes manually, and also because my Arp Odyssey doesn't have an arpeggiator. I am a satisfied customer. It's a terrific little arpeggiator with a couple of quirks. On the positive side it's tiny, battery-powered, surprisingly well-put-together for a home-made unit. I use it synced up via MIDI to Logic. It syncs reliably; it syncs immediately; it remains synced; it doesn't stutter or fall out of time, all of which sounds trivial but I have used professional equipment that doesn't even do that. Layering multiple bouncing arpeggios on top of each other is a breeze. The front panel has a bewildering array of controls but in practice PATN, SPAN, GATE, MODE, and RATE are self-explanatory and enough to get by, plus INST for extra spiciness. I bought my unit in November 2018. It is apparently a V5 unit. It comes with a cheat sheet, which is useful because the online manual is slightly out of date. I admit that I've only used it as a synced arpeggiator playing individual lines of notes rather than a live performance tool. It will also transmit accent information, and can transmit a separate accent channel. The only interface is MIDI, there's no CV/GATE or USB, but on the positive side the use of MIDI raises the interesting possibility of running arpeggios through cheap old digital synths. It has a separate MIDI sync input, potentially useful if you're playing live with everybody synced up to a master MIDI clock. Also the lights look wonderful. Mine is the thin white Duke model, black letters and bright white LEDs like a Station to Station-era David Bowie stage set. The interior has some blue LEDs that flash when they feel like it. Quirks? The random pattern function doesn't work as I expected, although it's described correctly in the manual; instead of randomly bouncing from note to note it generates a random sequence when you initially play the chord and the cycles through it repeatedly, so it doesn't sound random. There's a way of bypassing the arpeggiator entirely if you want to solo but it takes a bit of digging in the manual to find out how, and it makes the HOLD LED go crazy. HOLD will hold a sequence, and you can use an external keyboard to transpose it up and down - but for some reason the unit also transmits the incoming keyboard notes to the output, which sounds odd. When HOLD is turned on it would make more sense to route incoming notes purely to the arpeggiator engine. It might just be the batteries I'm using, but the battery holder is very tight, to the extent I have to use a screwdriver to lever the battery out. The MIDI ports are a bit stiff too, which also worries me, but I imagine they'll loosen up over time. This is assuming you ever want to unplug the unit. You might leave it on all the time. At £120 it seems expensive but there's nothing quite like it; some synthesisers output arpeggios but are much more expensive, some software plug-ins will arpeggiate but aren't as immediate, other hardware arpeggiators aren't as functional, step sequencers are more complex and the leading value-orientated step sequencers seem to have trouble syncing reliably. I imagine MIDI-CV interface and USB power would just add to the cost. Four stars because nothing is perfect, plus one star because it feels bad to give it four stars. I normally build projects and ARPIE kit has excellent documentation, but I've only found ARPIE recently and I wanted to quickly give it a try. I don't have time to build these days, so I jumped on the chance to buy one already built. The fully constructed MidiError build was delivered surprisingly fast to the USA and I was able to drop a 9v in and fire it up... and wow. Using the provided "cheat sheet" I was able to grasp the workings of it rather quickly. ARPIE is one of the most amazing things I've ever used. And with help of the documentation and some add-on boards, I am expanding it and I'm even going to get into the code to add some custom knobs (wish me luck!). This MidiError build is clean, solid, and tested. And Chris at MidiError was *very* helpful (and patient) when it came to my questions about expanding. I don't have enough stars for this review!!! NOTE TO BUYERS: When shopping, I saw build "Arpie" builds on eBay with a AA battery shipped from China -- I knew better than to buy one of those, and I hope you will know better as well. Really cool little toy. Useful and dynamic. The instructions are pretty thorough. I was a little difficult to get a 9V battery in, but other than that, It's been a positive experience so far. 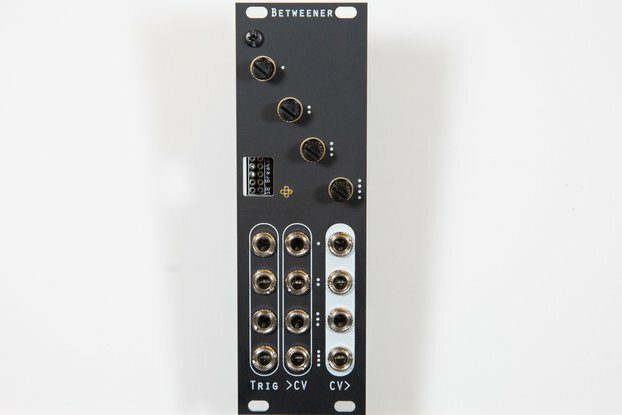 I bought two Arpies for my analogue modular gear in conjunction with Midi to CV converters. These are very inspiring devices - I like the second pattern for velocity information and the well thought layout for so many functions. It takes some time to get used to it, but once you learned about the second functions and special features it´s a very user friendly device. Much better than an Oberheim Cyclone in my opinion. Very tight Midi sync also. Highly recommended for every electronic musician! When I bought my Juno 106 I was jealous about the arpeggiattor of the older models, but now with ARPIE I have nothing to miss, even I have now more flexibility to work with arpeggios compared with the classics Juno 6 and 60. Another good thing is that the learning curve is not steep at all. Only downside is you can't save your setting so no other option than exercise your memory, that's why I only give 4 stars, otherwise would be just perfect! This little gem is ridiculously good .It has revitalised some old bits of kit in my studio that were for sale. I'm very happy to finally receive and try out Midierror's Arpie. Seller was quite communicable, I've always received answers for my quiestions about the delivery. Shipping itself was pretty quick. The device itself is purely a magic box, full of nice surprises, very easy to learn and use, and has great capabilities. There is still plenty for me to find out about proper using it for my purposes (electronic music making). Though, as I said, the process of learning and using Arpie is a pure pleasure. Thank you very much! Terrific experience overall. Great instructions, which arrived ahead of the (fast!) shipment. Solder/assembly is expert and super-clean. Very fun instrument. I highly recommend Midierror! This is a great little device, very inspiring and easy to use , it may look complicated but it isn't. Excellent service for an excellent device. Very quick / personal handling. I believe I received The Arpie and it's manuals within 4 working days (in France). As for The Arpie itself: It's truly a fun machine that is user-friendly / approachable yet can go quite in-depth as well. Made me love my Juno106 even more. Best Arpeggiator you can buy! Before the Arpie I owned a "Oberheim" Cyclone from which is incredible hard to get what you want...and some software arps. With the Arpie it is a pleasure to program and play with. Everything is right there where you want it to be. "Arp Orchester". Arpie is simply perfect in every way! Thanks. Arrived super quick, well packed and ready to go with and quick start instruction sheet. Also got an email with operating and support instructions. The product itself is exactly what I was after - a multi-function arpeggiator with the option to reprogram it myself if I wasn't happy with anything. I've not had much chance to try all the modes so far, but so far, so good. I found the price for this pre-built version to be very reasonable given my own poor soldering skills and lack of time to solder everything, test it, diagnose dodgy joints, resolder, fail to fix it, put the board in a drawer for 3 months and may be get it working then. The product arrived quickly in full working order. Documentation arrived as an attachment to a friendly email. I'm very happy with the product and the service. Thanks very much.